Groovy Grooming is a Sonoma County based Mobile Grooming service that specializes in getting your pet feeling and looking great right at your doorstep. We give your pet the love, attention, care and grooming that it deserves in our mobile spa, by true professionals with a love of animals and a passion for excellence in our field. Our service is perfect for busy people, nervous or senior dogs and cats, or just the truly pampered. 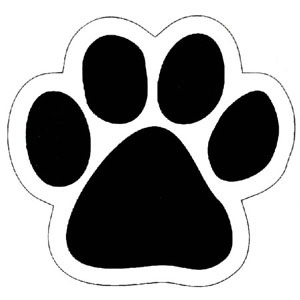 Our job is done right when we have earned your pets trust, you are happy, and your pet looks and feels their best. Pet Lovers, please consider Groovy Grooming for a Personal and Specialized service both you and your pet are sure to love. While each groomer has breed favorites, and each has their own personal style or flair, every groomer at Groovy is an experienced stylist. We can provide hand scissored breed styles or individualized trims like ‘Puppy‘ or ‘Teddy Bear’ cuts. It’s your pet and your preference, we know each pet has a look that best suites their personality. Our years of study and experience go into our trims as well as coat and skin care . Groovy Grooming understands the importance of proper coat care for all breeds and uses only high quality products to help the health of your individual dogs skin and coat. 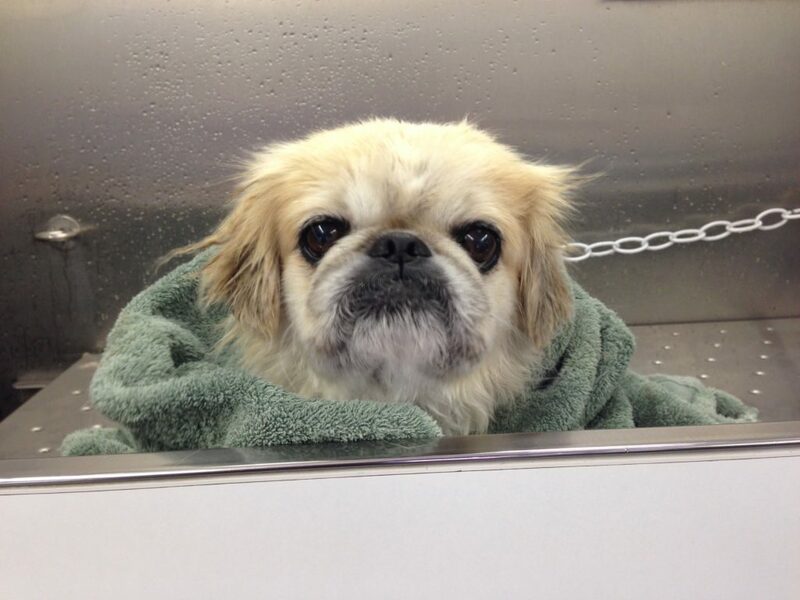 A clean cute dog is all the more cuddly and we take pride in making our dogs look and feel great. Through the years we have noticed that we receive a high number of referrals from other groomers as well as vets for senior or nervous pets. We have cared for many senior pets in their twilight and miss them all. It’s all extra worth it when an owners invites us back to care for their new, wiggly family addition. Positive first grooms are vital to your puppy or kitten. Many aspects of the grooming process can cause fear if not introduced in a positive, patient, skilled manner. Some animals may become so fearful that they may lose control of their bowels out of stress and fear and in some cases resort to biting. This behavior can be avoided by making sure your pet is in caring, professional hands and working with your groomer to help your pet feel comfortable with grooming day. We put time and care into our puppies knowing that we have a long relationship ahead and that it will make a difference in your pets future. Puppies and Kittens should receive their first professional groom by 4 months of age. We love Cat grooming! Cats do so much better the less stressed they are. We enjoy providing a positive groom experience and have nearly 100% repeat cat clients as well as stellar results in regard to safety for both ourselves and the cats we groom. We research the products we use for feline safety and provide customized care to the cats we groom. All cat grooming is conducted by Carrie and a highly trained cat grooming assistant. Two groomers provide safe handling and gentle manipulation of your cat throughout the grooming process while visually monitoring the stress and breathing of your cat and will give breaks as needed. We DO NOT sedate, tether or rush cats, ever. We have great success with cats responding to our patient gentle approach and have been deemed “Cat Whisperers” by clients who have seen us work. Shed-Less Treatments, Specialty trims, Rare Breed grooming, Skin Aesthetics and Creative Styling available. We do not groom aggressive animals. 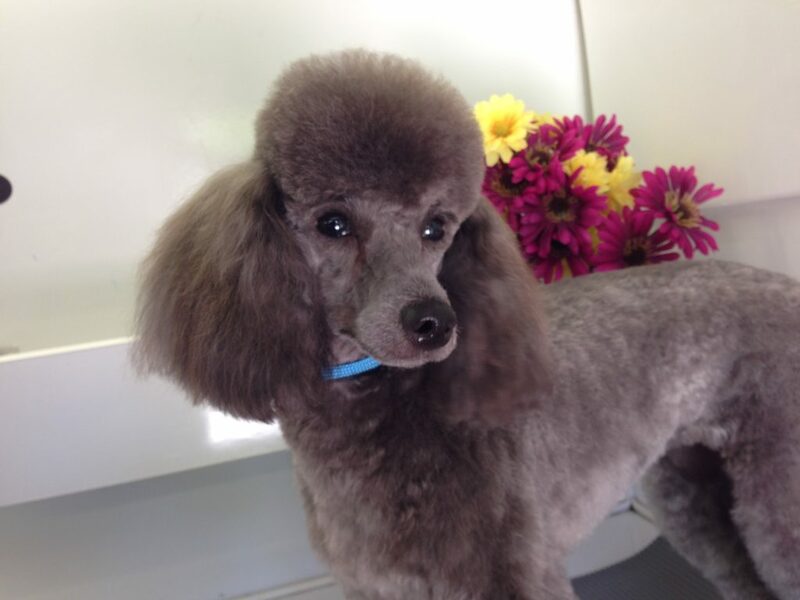 Groovy Grooming was established based on the idea that a groomer should know and have a relationship with the pet they are grooming, as well as the owner, in order to offer the best grooming experience. Carrie, founder of Groovy Grooming believes our service provides just that. We welcome open dialog to make sure your dog is cared for and groomed to the highest standard. Groovy Grooming believes in Humanity before Vanity. We just love making pets look, well, stunning and spend many hours (years) of practice, travel and study perfecting our art. We also understand that pets are not inanimate objects with unique personalities and some enjoy the grooming process more than others. While we take pride in ‘wowing’ our customers we will not do so at the expense of a living, feeling animal. We promise to provide the best trim possible to safely and humanely suite your pet. Feel to inquire about our grooming practices and why we do what we do, thought and research has been put into every aspect of our service from grooming methods to products and tools used. Thanks for getting to know Groovy Grooming. We enjoy the pets we groom and the camaraderie of their owners and look forward to an ongoing positive relationship with our clients.